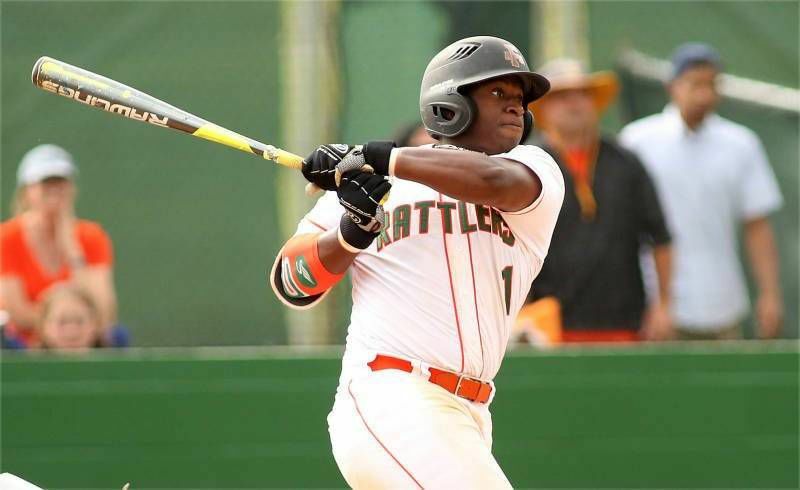 Bethune-Cookman and FAMU battle through tough weekend series. This weekend, Florida A&M and Bethune Cookman played an impressive baseball series at historic Sanford Memorial Stadium in Sanford, Florida. This particular stadium has seen the likes of Jackie Robinson, Babe Ruth, and Willie Mays in days past. This weekend, however, it was a three-game dose of Rattlers and Wildcats. Sanford Stadium, where Jackie Robinson was slated to make his AAA debut but was booed off the field & local 👮 threatened to end the game if he ever took the field. In game one on Saturday, a Brian Davis double allowed FAMU a 4-0 lead halfway through the fourth inning. Bethune Cookman narrowed the gap with a Chase Debonis three-run homer in the fifth, making the score 4-3. In the top of the eighth, FAMU extended its lead to 9-3 when Kaycee Reese hit a two-run homer. FAMU went on to win game one 9-5. Game two would provide some early excitement after a 1-1 tie to end the first. In the fourth, the Rattlers’ Jackie Myles hit his second homer of the day giving FAMU a 2-1 lead. In the bottom of the fourth, the Wildcats answered back with a Jordan Stacy RBI followed by a Jameel Edney two-run home-run. The scoring concluded when DeBonis singled and drove in Giovany Lorenzo, giving the Wildcats a 5-2 lead. Bethune Cookman would hold on for the win splitting the series at one apiece after a pair of games on Saturday. Sunday’s game started off at a rapid pace for FAMU when an Octavien Moyer ground ball gave the Rattlers a 1-0 lead. Later in the second Dallas Oliver’s RBI double extended the lead to 3-0. The action picked up in the sixth inning when Brian Davis was hit by a pitch. The Wildcats would rally in the ninth by scoring three runs, but it was not enough as they lost to FAMU, 6-3. We’ll see you Tuesday at FAU! With the loss, Bethune Cookman’s record stands at 14-22 and (8-7), in the MEAC. Florida A&M improves to 16-22 and (9-5), in MEAC play. After Sunday, FAMU and Bethune Cookman are seeded second and third in the Southern division, and fourth and fifth overall in the conference. The Rattlers host Savannah State on April 21st, at 1 pm. The Wildcats will travel to play Florida Atlantic on April 17th, at 6:30 pm.